John Yao Trio tonight at 9:30! We're excited to welcome back John Yao and his jazz trio tonight at 9:30PM. John is a true titan of the trombone and we're glad that he was able to make time for us again! It might be a good idea to make a reservation so you can get a seat for the show. 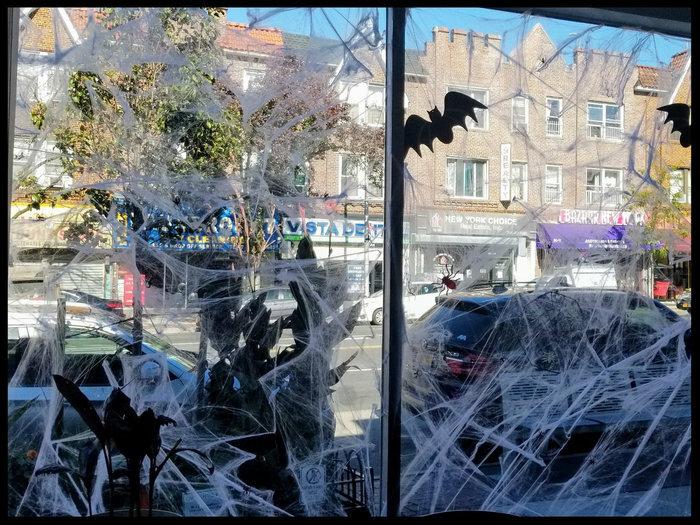 We're such big fans of Halloween here at The Queensboro that we made a spooky corner to get into the "spirit" of the holiday. We hope it doesn't scare everyone away. See below for information on the events that we've organized around this spooky holiday! On Monday the 29th, bring in your pumpkins and place them in our spooky pumpkin display area. Our expert judges will then vote on the best ones and spooky gift certificate prizes will be awarded for the best pumpkins. On Wednesday the 31st, we will be open from 3:30 onward! Wear your favorite costume to The Q, take a picture in our spooky corner and tag us on Instagram! That evening we'll bring out our panel of expert judges once more to decide on the best costumes for under 12s and for 12 and over. The best costume in each category will win a spooky gift certificate! And finally, don't forget to remind all teachers to come our Happy Hour on Fridays. We are offering discounted drinks to all Department of Education employees from 2:30PM to 7PM. See you at the Q! Stopped by last night to check out the music. Cool Jazz from the 50s smartly played, very enjoyable. Had a Supreme pizza, very tasty, thin crust, slightly blackened the way it's supposed to be. Service was not great, maybe the volume of the music caused communication problems. The hostesses were charming and sat us right away. Nice crowd, featuring a cross section of the neighborhood, saw several longtime residents enjoying the vibe. Definitely a welcome addition to the neighborhood. Hello everybody, we're excited to host the Itai Kriss Latin Jazz Trio on Thursday November 8th, at 8PM! Itai Kriss, a recording artist praised by Jazzwax as “one of the most exciting new flutist-composers” on the scene, commands a variety of musical genres with an eclectic style infused with Jazz, Latin and Middle Eastern sounds. They will play a couple of sets until around 10PM, make your reservation now at www.thequeensboro.com/reservations ! Hello, this will be a long one since we have much to tell you! A lot of people have been asking us about our Thanksgiving plans. We decided that we would not open on Thanksgiving day, it's a day for families so we want our staff (and ourselves) to spend it connecting with loved ones. We will, however, be back on Black Friday and serving lunch at 12PM. But we will gladly help you with your Thanksgiving day! We're super excited to announce that you will soon be able to bring The Q into your home! We are currently gearing up to offer delivery (more on this soon!) but for now we're excited to announce that we can prepare food for your Thanksgiving dinner. You can choose from picking a dish or two that will complement what you are cooking, to ordering an entire turkey dinner with many choices of sides and sauces and stuffing and desserts! Call us at 929-296-0038 or email us or come in and talk to us to place your order! Planning a private event? Want to have a group dinner? Kids birthday party coming up? We have you covered with our party room, where you will be able to host a wide range of events. It will be ready in a couple of weeks, so if you'd like to book it, send an email to events@thequeensboro.com and we can talk about what you're planning. Work @ The Q during the day! Not "for", we already have an amazing family of workers so we're not looking for anyone new right now. What we meant was that you can join the ranks of those who have been using the restaurant during our off hours to get some work done in a peaceful, spacious environment. Call us, email us, come in and talk to us, we'll fill you in on the details. If you swing by the (amazing) Jackson Heights Greenmarket this coming Sunday at 12PM, Chef Tony will be hosting a cooking demo, with food you can buy from the market right then and there! Learn from the best, then impress your friends! The Prodigals come to Jackson Heights! This week we're thrilled to have The Prodigals perform on Thursday at 8PM! Not only have they been our friends for many many years, but they're pretty awesome in their own right! They've been described as "What the Ramones might have sounded like if they’d taken traditional Irish music as their starting point". They will play until 10PM or so, make your reservation now! And after Thanksgiving, we're delighted that Karina Colis, a drummer & vocalist from Mexico will be playing boleros, cumbia, joropo and much more along with Eric Kurimski on guitar and Roman Rojas on guitar and vocals on Thursday the 29th at 8PM! On Fridays we will be opening at 2:30PM, for drinks and pizza. We are proud to offer happy hour drinks to all Department of Education employees from 2:30PM-7PM. I hope Chef Tony will swing by the Anthony Road stand to test some of their wine. It would be lovely to see some New York wine on your wine list. We have some New York wines, Clovis Point vineyards on Long Island is one of our favorites and we carry several of their fine products! Also, I just wanted to let folks know that we will be closed for Thanksgiving, but we will be open on Friday at 12PM for lunch! I look forward to seeing NY wines on your wine list. There are some wonderful wineries in the Finger Lakes an on Long Island. Last time I was there - about a month ago - was only one U.S. wine on the wine list. Hi all! We just wanted to send out a quick note that this Thursday at 8PM The Queensboro we'll be hosting the awesome Karina Colis and her trio who will be playing cumbia, cha-cha-cha, bolero and more. You could make a reservation here, and consider joining our email list, or follow us on twitter and Facebook so you'll get all the latest news! Also... we'll be closed on Monday because the JHBG are going to have their 30th anniversary fundraiser at the restaurant from 6-10PM! Please buy tickets or donate to support this fine group that does so much to make Jackson Heights a better place for everyone! Big news friends - we've started doing delivery! If you're jonesing for some delicious, unique, affordable, chef-prepared Q food and you're just not able to make it to our warm, friendly neighborhood restaurant you can now order online and have the food appear in your home a little while later! This will be available starting at 5PM every day. Simply go to our website at thequeensboro.com and hit the order online link to pick what you want from our dinner menu. This is a new thing for us so if something goes wrong or can be improved please let us know! We will be open that day until 8PM serving our normal dinner menu. The party starts at 9PM and will cost $75 per person (plus tip and tax) which will get you a lot of delicious food from our raw bar, carving station, hors d’oeuvres and buffet, as well as two drinks! If you bring kids we’ll charge you $5 for every year they’ve been around, up to a maximum of $50. There will be a DJ and if you want to dance you most certainly can! You can buy your tickets in person at The Q, or call us at 929 296-0038. All food, two drinks, and entertainment. Come to The Queensboro in person or give us a call at 929 296-0038. Will there be enough food for a full dinner? Yes, this is The Queensboro so the quantity and range of food will be generous and excellent. Food includes passed hors d’oeuvres, pasta, pizza, raw bar, a carving station and dessert. Please let us know when you purchase your tickets, and we will do our best to accommodate your needs. How do the drinks work? Everyone will get their first two drinks included in the price. You can order cocktails, wine or beer. What if I want more than 2 drinks? The bar is fully available all night and additional drinks can be purchased at our normal menu prices. Your server can run a tab for you. What if I want to bring children? Tickets for guests under 21 years of age are priced at $5 per year up to $50. Families with children will not be seated in the bar area. I want to sit with another group that has booked separately. Can we do that? We will do our best to honor all seating requests. Even if this is not possible, we envision this as a walk-around cocktail event and we would disappointed if people stuck to their assigned seats for any length of time. Once purchased, tickets are non-refundable. If you wish to relinquish your tickets we will make them available for re-sale to other guests. Who is the DJ? What type of music will be played? Local superstar DJ Dak will be playing music from various decades, we’re certain that everyone will love what she plays. What is the closing time? We expect things to wind down sometime after midnight, and perhaps sometime before 4AM. We're mixing things up as we enter the holiday season, because this week we have two bands playing! Friday December 7th - The Cold Club of Queens will perform starting at 10PM. According to them - and we believe them! - they will whisk you away to a Parisian café from a bygone era with their unique brand of foot stompin’, toe tappin’, Django Reinhardt-inspired jazz. Saturday December 8th, 10PM - Jonny Meyers returns! Jonny was the first artist to perform at The Q and he's a special guy who will be playing some very special blues, country and soul! Thinking of coming on either or both of those day? Consider reserving a table! Hi all! 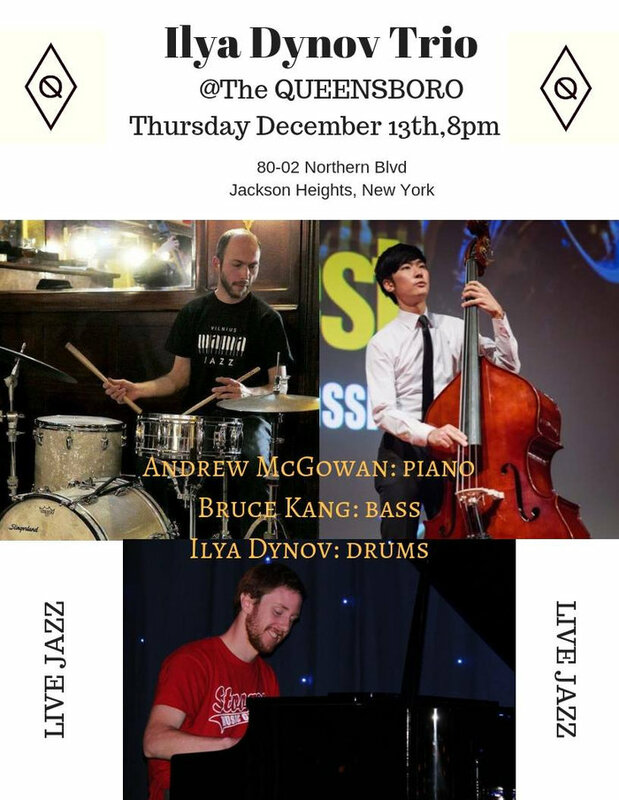 This Thursday at 8PM we're going to have jazz from the Ilya Dynov trio for the first time in Jackson Heights. These guys are pretty awesome, they come with a great pedigree and I think they'll play some great jazz standards. Come see them if you have a chance! Also, don't forget that we now do delivery! Click here to order some dinner! Happy New Year to everybody! For those of you who made it to The Q for our New Year's Eve party, was it the best or was it the best? We had a blast and I think everyone else did too. I never imagined a conga line snaking through the restaurant, but nice surprises like that are very welcome! Here's to a great 2019 to Jackson Heights and all the awesome people who live here. We're starting the year off with a bang! 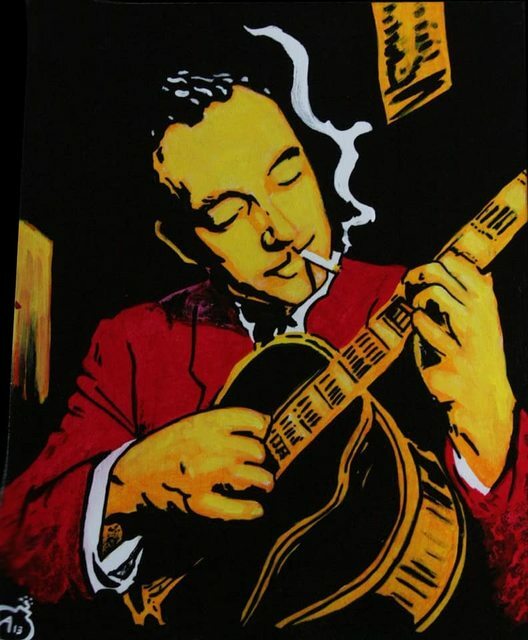 This Friday at 9:30 The Cold Club of Queens will be playing their always-awesome Django inspired swing! Come for dinner, come for a drink, come for both and relax to their fun sounds, we hope to see you at The Q! Great article about the Queensboro in Edible Queens! For years, a humble triumvirate of Jackson Heights residents dreamed of opening a bistro. In 2015, they embarked on a long and winding road that eventually lead to the Queensboro, a new restaurant on Northern Boulevard that puts a local twist on the popular New American format. When searching for an executive chef, Stewart and Fuquay brought on their neighbor Tony Liu as a third partner. Instilled with a love of seafood and pan-Pacific flavors from his childhood in Hawaii, Liu has directed kitchens in some of Manhattan’s most acclaimed destination restaurants. After cutting his teeth at famed French restaurants Lespinasse (now shuttered) and Daniel, Liu has since worked at Mario Batali’s Babbo and the late, storied pizzeria Pulino’s. The Queensboro opened the first week of June. The restaurant is spacious yet comfortable, with an all-wood interior and a long, inviting bar. One’s eyes are naturally drawn to the open kitchen and its centerpiece: a massive brick pizza oven. The Superbowl is almost here and we still have seats available. Call now or come in to reserve your spot in person! Kickoff is at 6:30 but Chef Tony's Pre-game Tailgate Feast begins at 5:30. Tickets for the party are on sale for $40 per person, plus tax and gratuity. This includes all the food from Chef Tony’s tailgate menu of classic American tailgate fare with some delicious regional twists: pigs in blankets, chicken wings (Buffalo and Korean style), nachos, pizza, plus fish tacos for our left-coast amigos and chowda for our beantown cousins, plus much more, all made with that delicious Queensboro touch! Buy your tickets in person at the restaurant or over the phone at 929 296 0038, and specify if you want bar or table seats. Everyone who buys a ticket will be entered into our football pool to win some Queensboro Gift Certificates! Furthermore, if you wear a Rams or Patriots jersey, you’ll get a celebratory shot for your team's first score! New Orleans Saints fans who proudly wear their Saints jersey, will be administered “we wuz robbed!” shots as needed! We will happily cater your Superbowl Party - send us an email at info@thequeensboro.com or call for details. 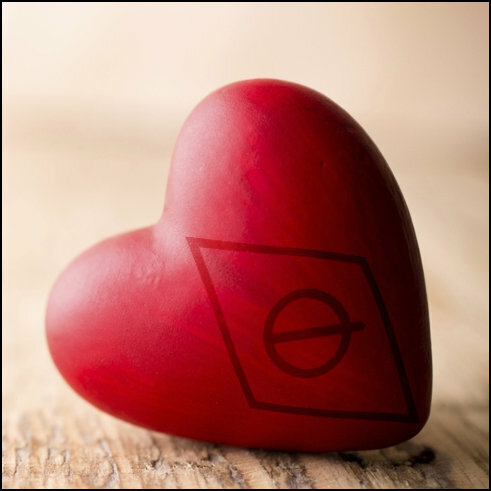 We have something very special planned for Valentine's Day and we hope you're as excited about it as we are! We are offering a three course prix fixe menu for the evening of the 14th, for $55 per person, (plus tax and gratuity) with an optional $25 wine-pairing addition per person. Call us now at 929 296 0038 or come in to book your table! If you want to come visit us any other time, we strongly encourage you to make a reservation. Hello friends, we have something special planned for parents on Valentine's Day. Extensive government research shows that February 14 is the single hardest day to find a babysitter, but what if you didn't have to worry about that? The Queensboro has you covered! We have booked Isabel Sanchez of Issa Cakes to teach a special Valentines Cookie decorating class for children in our Party Room. Issa will show the kids how to decorate cookies, and make Valentines cards while they eat pizza. Meanwhile you and your partner can enjoy a civilized meal and adult conversation without interruptions. Call us now at 929 296 0038 or come and speak to us to book your table for 5, 5:30 or 6pm, and let us know that you are also reserving a space in the class for your child. The Class is open to children aged 4 and up, availability is limited. The cost of the class is $25 per child and includes all materials and pizza too. Dinner for adults is a three course pre-fixe menu for $55 per person. We all have children and we know how tough it can be. Let us make it a little easier for you this Valentines Day. Joe Knipes Trio on Thursday! Guitarists Joe Knipes and David Hessel, are joined by bassist Aki Yamamoto to perform standard classics and contemporary jazz repertoire, starting at 8:30 this Thursday! If you want to come visit us, we strongly encourage you to make a reservation.